SANTA MONICA, Calif.- Killer Tracks, a Universal Publishing Production Music Company, supplied the otherworldly soundscape for a new video from NASA's Lunar Reconnaissance Orbiter (LRO) mission that reveals Earth's nearest neighbor as it's never been seen before. Titled Tour of the Moon in 4K, the video features breathtaking flybys of more than a half dozen sites on the Moon's surface produced from data gathered by LRO and set to the ethereal rhythm of Never Looking Back, a track from the Killer Tracks library composed by Frederik Wiedmann and Joel Goodman. 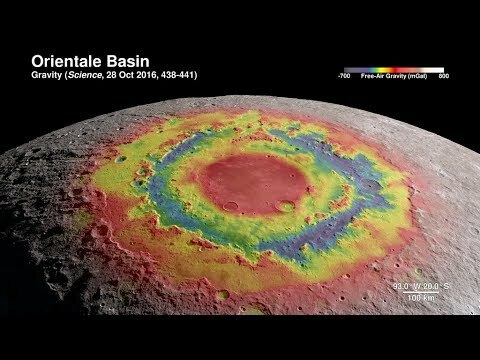 The video presents incredibly detailed renderings of the structure and features of the Moon's exterior, including the Orientale Basin, a nearly 600-mile wide impact crater formed 3.8 billion years ago. The reason the imagery looks so real, according to David Ladd, the producer at NASA's Goddard Space Flight Center, is it's a full 3D model of the Moon built entirely from actual LRO data, rather than being just an artistic approximation. Ernest T. Wright, a science data visualizer at NASA, constructed the lunar imagery from several data sets. "That's why this video is so fascinating and awe-inspiring," Ladd says. "We are getting a look at the lunar surface and information about what is under it in an all-new way." Ladd searched the Killer Track library for music for the piece and says that Never Looking Back reflected the same sense of "awe" provoked by the videos. "The choice of music can make or break a project," he observes. "It can engage the audience or turn them away." Never Looking Back was written and produced by Wiedmann and Goodman earlier this year for their trailer music company ICON, which licenses its music through Killer Tracks. Wiedmann, who won an Emmy Award for his score for the animated series All Hail King Julien, describes the track as electronic ambient and notes that it features unusual instrumentation. The theme is carried by a guitarviol, a handmade hybrid of a guitar and a violin, played with a bow. "It has a modern sound and epic feel that evokes mystery and a curiosity for the unknown," he says. NASA released Tour of the Moon in 4K on its websites and social media platforms. It's topped 2 million views on NASA's YouTube page and has been featured on CNN, Space.com, Thrillist.com, EarthSky.org, Mashable.com, BGR.com and TheSun.co.uk, among other sites. "It will also be used at science conferences, in schools, museums and at public outreach events," notes Ladd. "It's meant to educate, inform and inspire. We not only want to share and explain science information, but we hope to encourage others to engage in scientific pursuits and arouse a passion for exploring our universe." Composer Joel Goodman says that when he and Wiedmann were working on Never Looking Back, they had no idea it would be employed by NASA, but adds they are delighted to be part of the unique project. "When we compose music, we often don't know how it will be used; we start with an idea and see where it takes us," he says. "We're often surprised by how others interpret our work. That's one of the great things about music." Killer Tracks is an industry leader in production music and a global source for pre-cleared music for film, television, advertising and interactive media. With more than 3,100 active albums from 40 global libraries, the Killer Tracks catalog spans every genre and features original works from some of the music industry's most innovative composers, artists and producers. The premium catalog is continuously enhanced with exclusive recordings and new music updates. Friendly, knowledgeable support is always available through a dedicated team of music search specialists and licensing experts. When music matters, rely on the production music experts at Killer Tracks.